KINGSTON – Over the past three years, Ulster County government employees who used their personal vehicle to travel for their jobs, racked up over 600,000 miles a year with the county spending an average of $347,000 in mileage reimbursements annually. That analysis came from County Comptroller Elliott Auerbach’s office, which conducted its second “Measure 2 Manage” report for 2010. Auerbach’s study concentrated predominantly on two departments: social services and public health. The county has no policy regarding personal vehicle use and he said one should address responsibility and authority including vehicle ownership, condition and adequacy of insurance coverage. He suggested the county executive and county legislature look into adopting such a policy. The New York State Attorney General’s office has recently contacted the Town of Lloyd asking what steps they will take to recover $270,000 in development fees that were never collected for a host of projects identified in a town commissioned audit covering the years 2004- 2008. In a Dec. 30 letter, Town Attorney Sean Murphy informed the Town Board of the state’s interest in this issue. Murphy stated that he responded that Lloyd was in the process of determining what course of action they were going to take. The Attorney General’s Office indicated they will be contacting the town again by the middle of February for an answer on their plan of action. Ulster County Comptroller Elliott Auerbach said he had reviewed the Vannacore, DiBenedictus, DiGovanni and Weddell audit report. Auerbach is the county’s chief official who monitors governmental accounts and expenditures. “It certainly raised some concern and that is why I prompted the New York State Attorney General’s office to take a closer look at this,” he said. Auerbach said Lloyd should have collected their entitled fees during the planning procedure. “The town may have not charged and collected everything that was due to them through the process, and the report certainly speaks to that,” he said. Auerbach said he is certain Lloyd has to reply to the state’s inquiry. Auerbach said the firm referred to their four-year analysis as an investigation. Auerbach highlighted the most significant sentence in the report. Auerbach said it is possible the Attorney General’s Office may “very well” force the collection of fees. Auerbach urged the town to go beyond the time frame covered by the audit. “It would be in the best interest of the current town administration to address these issues that were raised and possibly go back several more years to see if there were any other inequities,” he said. Auerbach said he thought the Attorney General’s Office will also re-examine the relationships between the town and the numerous developers who were cited in the audit. Auerbach said his role in this issue is limited due to Ulster County codes. KINGSTON – Ulster County Comptroller Elliott Auerbach is responsible for how the county spends its money, and Tuesday he told members of the Chamber of Commerce of Ulster County how government is a responsible partner with the private sector. And like businesses, government provides goods and services. Unlike the private sector; however, there is no competition to provide a better product. Yet there is trust in government to do so. Ulster County government works with businesses that provide goods and services to taxpayers, and those businesses must be paid. And it’s not always so easy to submit a bill and then get paid on a timely and preferable schedule. “The biggest thing we hear from businesses is the slow payment time,” said Auerbach. So Auerbach’s office has created a system to help provide those payments and increase government’s efficiency. Ulster County also provides funding for non-profits, and Auerbach said government, being the leading non-profit, shares lessons about survival and accountability by training them about the process of obtaining funding. Simply put, the definition of nepotism is favoring relatives. 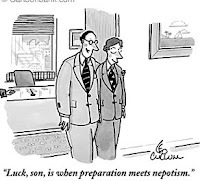 Nepotism in the workplace occurs when employers favor relatives in making employment decisions, with little to no regard for anything but kinship. It was evident in our report of the Ulster County Health Department in November of 2009 (see excerpt below) and we brought it to the forefront. We are pleased to see that legislation will be considered. Employees in familial relationships ought not to work within the same department and division, especially in a supervisor/staff relationship. The standard of appropriate checks and balances between duties and responsibilities among staff is fundamental no matter whether or not a familial relationship exists. KINGSTON – County employees in Ulster County can no longer supervisor their relatives. County Executive Michael Hein Wednesday issued executive order #1, which seeks to do away with the practice. His order calls for all department heads, board, agency and commission heads under his jurisdiction to review their operations for any potential nepotism-related conflicts and issue findings based on the review. They have 60 days in which to do that and issue their findings to the personnel director along with any proposed action plan. “As you know, Ulster County has an obligation to avoid conflicts of interest between work-related and family-related obligations, end nepotism or even the appearance of such and prevent family conflicts from affecting the workplace,” Hein wrote in a letter to County Legislature Chairman Frederick Wadnola and all legislators. This is GREAT NEWS on the heels of last weeks Hotel-Motel Occupancy Tax Report. After speaking with one of the principals in the project I am cautiously optimistic that this all may happen. Mr. Weiss had a realistic approach to the project and an understanding of what needs to be done to bring the property and its reputation back. ELLENVILLE – Tricon Development of New York City Tuesday announced the Nevele Hotel in Ellenville is under contract for sale to the Nevele Holding LLC in conjunction with The Giluet Foundation. According to Tricon, the buyer intends to reach out to all those to whom money is owned from past operations as well as the unions about hiring their members. Weiss anticipates several hundred jobs generated for operations, work for outside contractors, increase in sales tax receipts, payroll taxes and other municipal revenues and economic activity in the region from visitors due to business, leisure and convention activity. “There will be no dependence upon the possibilities of gambling/horseracing or other expectations other than restoring the Nevele to its rightful position as one and only Class A resort,” he said. “Such will go a far way toward reviving the economic fortunes of the area and bringing back the golden age that the area so rightly deserves." KINGSTON – Ulster County can expect to lay out $22 million to local school districts for unpaid school taxes in the 2009-2010 academic year. The money will make the districts whole and cover the amount that goes unpaid by district residents. 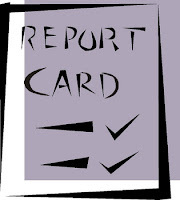 The county shelled out $20.8 million in unpaid school taxes for the 2008-2009 school year. County Comptroller Elliot Auerbach, in his second “By the Numbers” report, said unpaid school taxes are expected to climb by over 50 percent since 2006-2007. Auerbach said in better financial times this was less of a burden on the county. It is a state requirement that counties make up the difference. KINGSTON, NY (January 8, 2009)… Ulster County Comptroller Elliott Auerbach released a BY THE NUMBERS report indicating that the County can expect to make local school districts “whole” for close to $22,000,000.00 for their unpaid 2009-2010 school taxes. 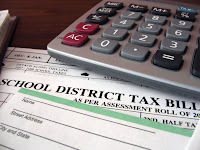 The County, by law (NYS Real Property Tax Law Section 1330), “on or before the first day of April “must pay to the fifteen (15) school districts “the amount of unpaid school taxes”. This is after the taxes remain unpaid subsequent to being re-levied on the 2010 town and county tax bill. “In better financial times this was less of a burden on the County,” said the Comptroller. “As a matter of fact the County was rewarded with a 7% penalty for its efforts once the obligation was met.” “But these are unconventional times and a multi-million dollar strain will reek havoc on the already reduced fund balance or force the County to borrow in anticipation of the future revenues,” Auerbach said. “As a county we inherit an annual financial burden that is not of our own making nor one that we have any control over,” Comptroller Auerbach stated. KINGSTON – In 2007, Ulster County collected more than $1 million from its hotel/motel tax. But in 2009 that figure dropped to $937,000. On Wednesday, Ulster County Comptroller Elliott Auerbach wanted to know how to increase business and those revenues when he met with county innkeepers, resort managers and owners, and Chamber of Commerce and tourism officials. “We’re seeing a considerable drop, especially when you see the 2007 numbers to the 2009 numbers. We’re close to a 10 percent drop in the bed numbers,” he said. During the 30-minute meeting, questions were raised about whether all lodging facilities, ranging from singular B & Bs, to mid-level motel and national chains and resorts, were accurately reporting their occupancy rates and the taxes to coincide with those numbers. “The folks here have been strong participants in the occupancy tax. Our concern here is: First and foremost is everybody participating paying the tax,” said Auerbach. Large scale resorts are planned for Williams Lake in Rosendale and Belleayre Mountain on the Delaware County line. Auerbach said the county and the county’s lodge owners need to help bring in more operators to help with these needed revenues. “What can we do to help the resort industry to bolster their ranks?” said Auerbach. Jerry Luke, of Fox Hill Bed and Breakfast in Highland, attended the meeting. He said all lodge owners need to support their industry in the county. “We want to help the county as much as we can because we’re all in it together,” he said. And Luke feels all businesses are affected by tourism in Ulster County, a major driver in the county’s economy. KINGSTON – Only one Ulster County legislator had a perfect attendance at all meetings in 2009. Hector Rodriguez didn’t miss one meeting of the full legislature, public hearings or committee meetings. County Comptroller Elliot Auerbach Monday released “Measure 2 Manage” report, this one taking a look at the county legislature and how the more than $500,000 in salaries and benefits were spent. He said that he plans on issuing other such reports looking at other department spending. “Things like gas consumption by county departments or reimbursement of personal vehicle use by county employees or E-ZPass use or money generated through hotel-motel bed tax,” he said.